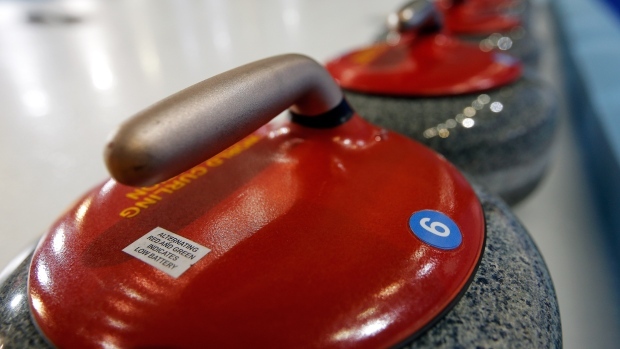 Eve Belisle downed Marie-France Larouche 7-4 to win the Quebec women's curling championship Sunday. Belisle scored three in the second end and a deuce in the fifth for a 5-1 lead en route to the title. Belisle, third Lauren Mann, second Trish Hill and Brittany O'Rourke curl out of the Glenmore Curling Club in Dollard-Des-Ormeaux, Que. They join defending champion Chelsea Carey of Calgary, Yukon's Sarah Koltun, Kerry Galusha of Northwest Territories and Geneva Chislett of Nunavut already in the Canadian women's championship field Feb. 18-16 in St. Catharines, Ont. The remaining 10 teams have yet to be determined via provincial championships. Belisle skipped Quebec in the Scotties Tournament of Hearts in 2006 (7-4) and 2010 (5-6). She won a tiebreaker before losing in the Page playoff game between the third and fourth seeds in 2006.